We know that producing high-quality visual content in an efficient and creative manner can be very challenging. 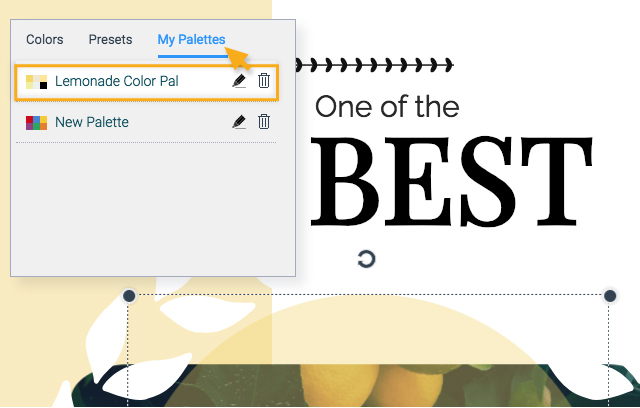 This is why we decided to make it easier for our users to trigger just the right emotions and associations in viewers by providing them with 50 beautiful color combination presets, as well as the option to save your own color palette in My Palettes. Select a shape that you want to change the color. You then click on the square color box at the top left of your screen. Or select a text box that you want to change the color. You can then select font color at the top of the panel. 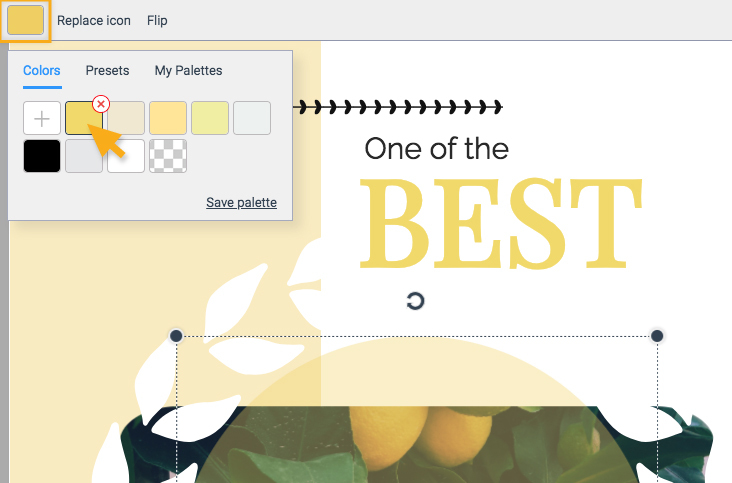 If you want to apply using any of the 50 color combinations, simply click Presets tab and choose your color combinations. 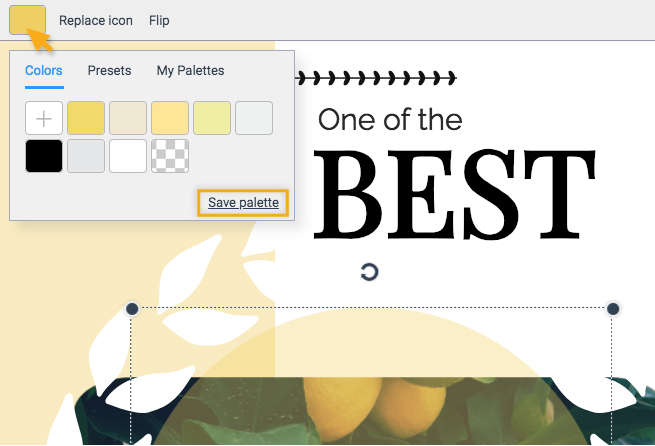 You can also save your own color palette by clicking on Save palette under the Colors tab. 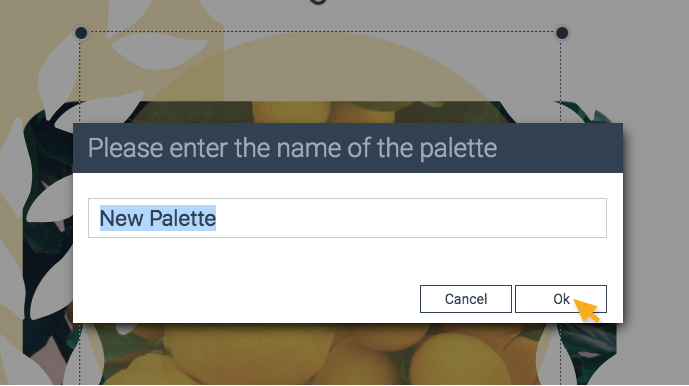 Once you have clicked Save palette, name your palette and click OK. 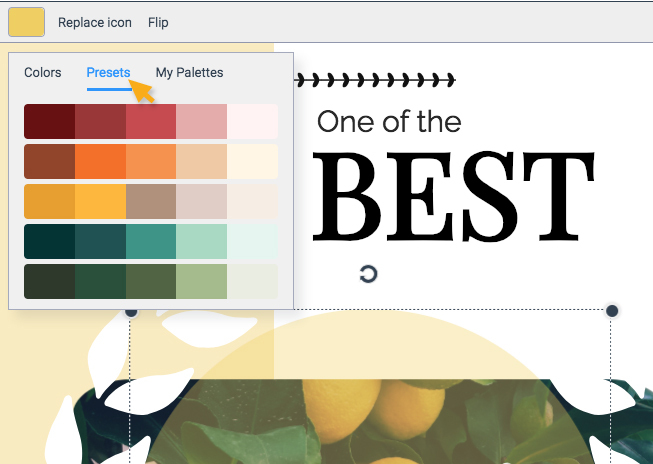 The color palettes you saved will appear in My Palettes tab. 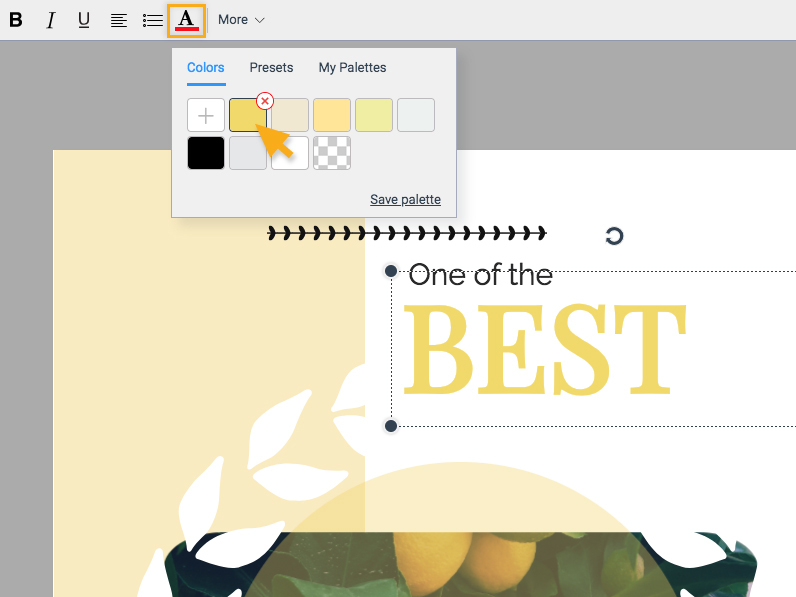 Simply click on the palette to view the colors or Edit/Delete the palette by selecting the two icons next to it. Tip: When you create your own palette and share with other team members, they can use the color palette, but do not have the options to edit/delete the palette that you created.